If you have been injured in a road traffic accident that was not your fault you can claim for pain, suffering and loss of amenity (known as general damages) and your financial losses (known as special damages) arising as a result of the accident. Claim for your disadvantage on the open labour market if you are likely to be disadvantaged when applying for an alternative job. We can see you at home, in hospital or at our local office on 100 New Walk, Leicester, LE1 7EA. We will complete all the information on a Claims Notification Form which is then submitted electronically to the other party’s insurers who have 21 working days in which to confirm whether or not liability is admitted for your accident. If the insurers cannot respond within this period due to ongoing investigations then they will be allowed 3 months in which to investigate liability. This may involve the insurers obtaining a copy of a police report or witness statements. We will arrange for you to be examined by one of our suitably qualified medical experts. If you have sustained soft tissue injuries then an independent General Practitioner’s report may be sufficient. If you have sustained a fracture then we would arrange for you to be examined by a Consultant Orthopaedic Surgeon. If you have experienced psychological symptoms as a result of the accident such as flash backs, sleeplessness and panic attacks, then we may also recommend that a report be obtained from a Consultant Psychiatrist. Any treatment the medical experts recommend can proceed on a private basis and will be funded by the other party’s insurers, provided they are satisfied the treatment is necessary.Once you have made a full recovery we will proceed to settle your claim. If liability still remains in issue, we will consider the prospects of the claim succeeding. If we are satisfied that the prospects of your claim are reasonable we will recommend that Court proceedings are issued.Very rarely do claims proceed to trial as a settlement is usually agreed once Court proceedings are issued before the matter reaches trial. Providing we are satisfied that your claim possesses reasonable prospects of success, we will proceed with your claim under a Conditional Fee Agreement (no win no fee). We will recover your compensation and our costs from the other party’s insurers. YOU DO NOT HAVE TO USE YOUR INSURERS APPOINTED SOLICITORS AND YOU HAVE THE FREEDOM TO INSTRUCT A SOLICITOR OF YOUR CHOICE. 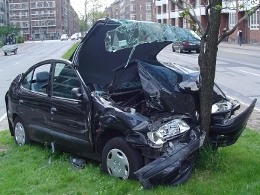 This is not always clear when discussing the accident with your own insurers. Insurers often sell on the injury claims to their panel of Solicitors which quite often will not be local to you. This can prove to be inconvenient if you need to attend upon your Solicitor to discuss your claim of prepare witness statements. You do not have any liability to pay the other party’s costs if you lose until Court Proceedings are issued. You have 3 years from the date of the accident to settle your claim before Court Proceedings have to be issued (minors have until their 21st birthday) . Most claims will resolve within this period, however, if it is necessary to issue Court Proceedings due to this period expiring or due to the fact the insurers are disputing liability we will ensure you have legal expense insurance to cover your opponents’ costs. You may have the benefit of this cover on an existing insurance policy,however, if not we can arrange this on your behalf at no cost to yourself. This means if you proceeded to Trial and lost your case you would not have any costs to pay. The Motor Insurers’ Bureau is a body set up to compensate victims of untraced and uninsured drivers. The Motor Insurers’ Bureau will pay for your costs in addition to your compensation if the other driver was uninsured, however, they will only make a contribution towards your costs if the other driver was untraced. We will accept this contribution in full settlement of our costs. Again, some schemes will seek to deduct some costs from your compensation. You will needed to have reported the accident to the police within 14 days before the Motor Insurers Bureau will deal with an Application under their Untraced Drivers’ Agreement Evidence. It will assist us in pursuing your claim if you provide us with as much information as possible. Any photographs you have of the accident damage to either/both vehicles. obtain 2 estimates of the repairs to your vehicle is if you are not arranging for your own insurers to undertake the repairs. So, if you’ve been involved in a road traffic accident of any description and have suffered injury as a result, contact Affinity Law Ltd on (0116) 2627292 to get the best possible help and advice before you take any action.